The exam break is over and the second season has started. The three basketball teams and the curling team are all in action this year. The Lakers wrapped up Rocky View League play this week with a 102-50 win over George McDougall, to finish the regular season 5 and 0. The Lakers now prepare for the very competitive Tri-Prov tournament at Harry Ainlay in Edmonton, where they face the always tough Raymond Comets in their first game. This will be a great test for this talented team. The Lakers next league game will be hosting a playoff semi- final game on Friday March 1st. Go Lakers! The Varsity Girls L had a busy week coming out of of exam break. 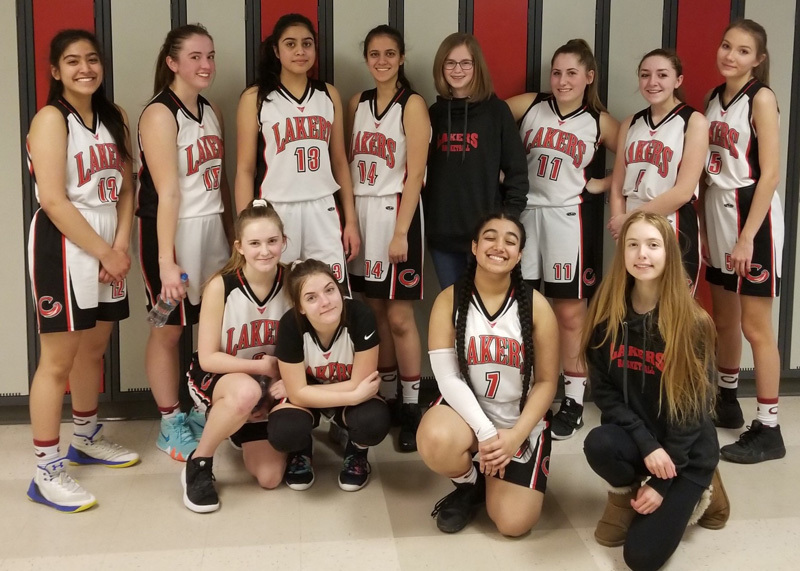 The girls had an exceptional team game defeating George McDougall, 64-18, on Wednesday, with outstanding play by Kiah Isbister, Hannah Merhi, Shaelynn Doughty, and Haylee Bailey. Thursday saw the Lakers playing against Archbishop O’Leary from Edmonton, in the Sir Winston Churchill Tournament. This was a tough game against a skilled and energetic team, but, unfortunately, came away without a win. On Friday they played Crescent Heights and were down eight at the half, but were able to pull through in the second for a 65-57 win. Kiah Isbister was awarded Player of the Game due to her 27 points scored, as well as her hustle on defense. Amy Alexander had her strongest defensive game of the season. The girls finished with a Saturday loss against Winnipeg’s Vincent Massey. Morgan Wakeford came away with Player of the Game, and Shaelynn Doughty was named a tournament all-star. 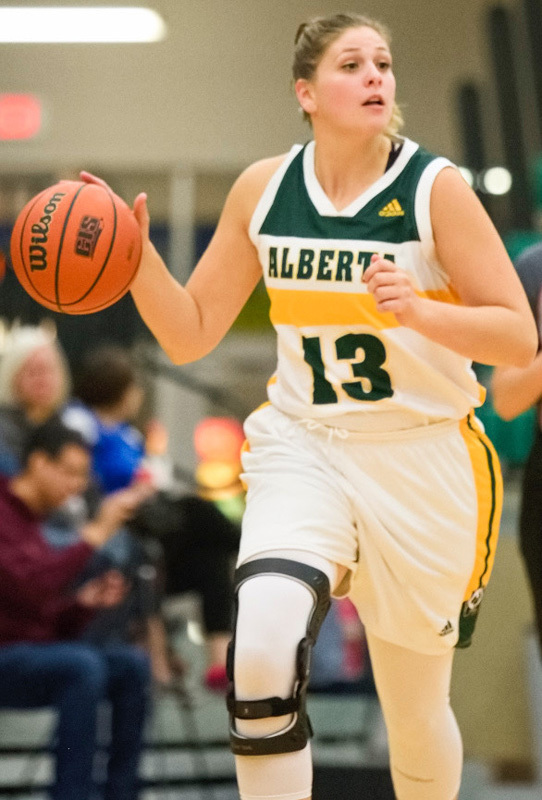 The girls play their last league game at Bow Valley on Wednesday, as well as at the Lindsay Thurber Senior Basketball Tournament in Red Deer. The JV Girls basketball team had a hard fought game against the #1 team in the league, George McDougall, Wednesday night at home. Their aggression, determination and passion flustered their opponents and made for an entertaining game. Even though they couldn’t come out with a win, the coaches were proud and impressed by their fight. The Player of the Game was Harkiran Bawja with her dominating defense. This week the girls travel to Cochrane to take on the Bow Valley Bobcats. The curling teams will be in action this week at the Rocky View League Championships in Airdrie. Results and details next week. Best of luck to the teams. The CHS Athletic Field Upgrade committee is working hard to raise funds for the project. Our goal is to have the field turf installed for September 2019. This is a joint school/ community project. Anyone wishing a sponsorship package send me an email and I will forward to you. We have a couple of big presentations coming up and will keep everyone updated. There will be a social media campaign unveiled in the next few weeks. 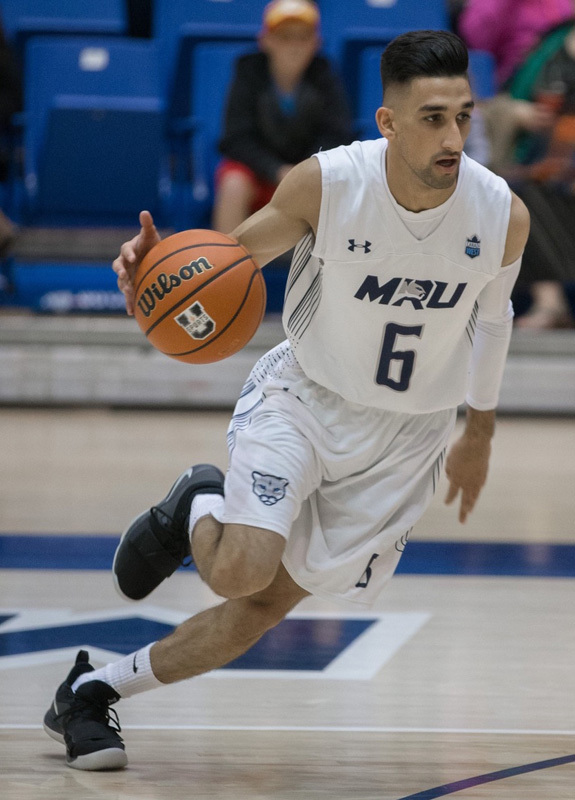 Congratulations to Lakers alumni, Charn Gill and Aimee Wilson, who were recently celebrated by their respective university teams. 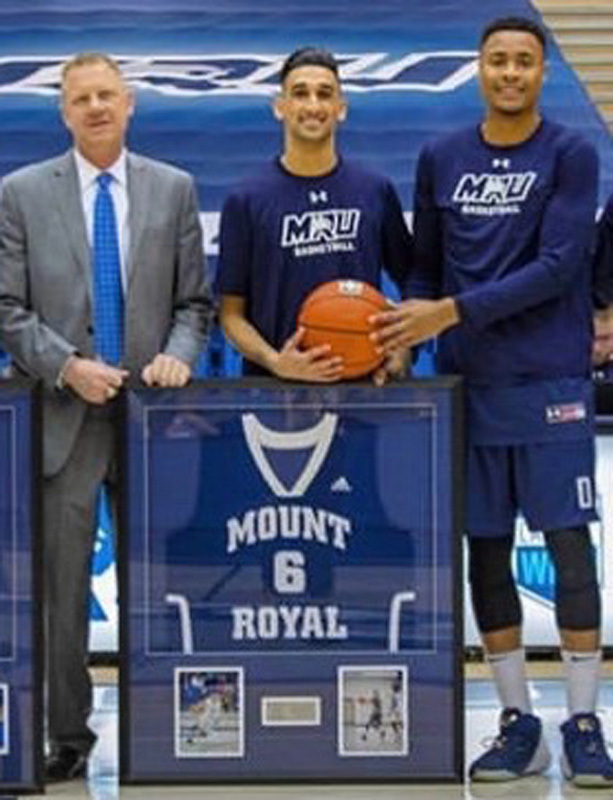 They both finished their basketball careers and were honored with senior gifts at their final home games. Two weeks ago Charn was honored by the Mt. 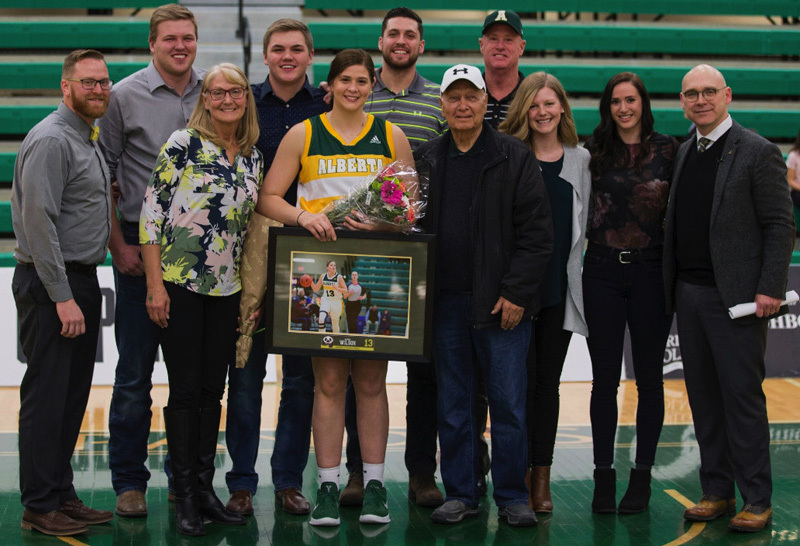 Royal Cougars, while Aimee was honored, this past Saturday, by the University of Alberta Pandas. Both concluded excellent careers with their teams. Congratulations to you both! Best of luck with your future goals.